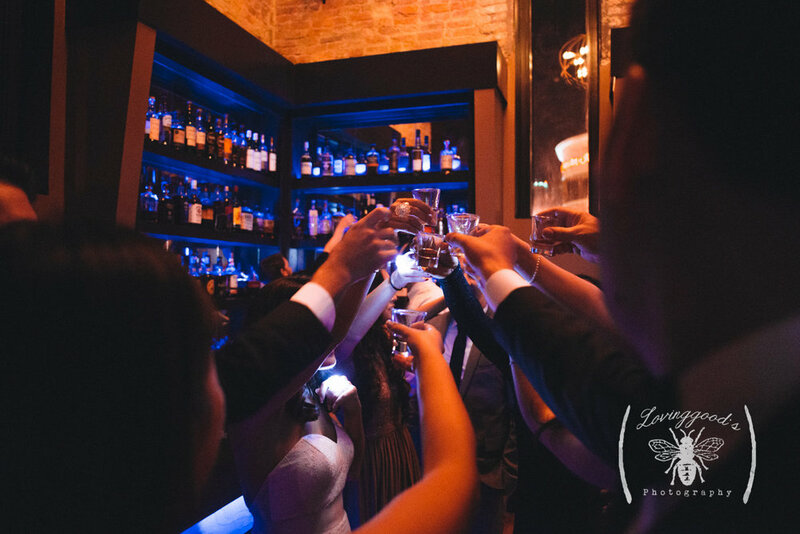 What better way to ring in the new year then saying "I Do' with all your friends and family. 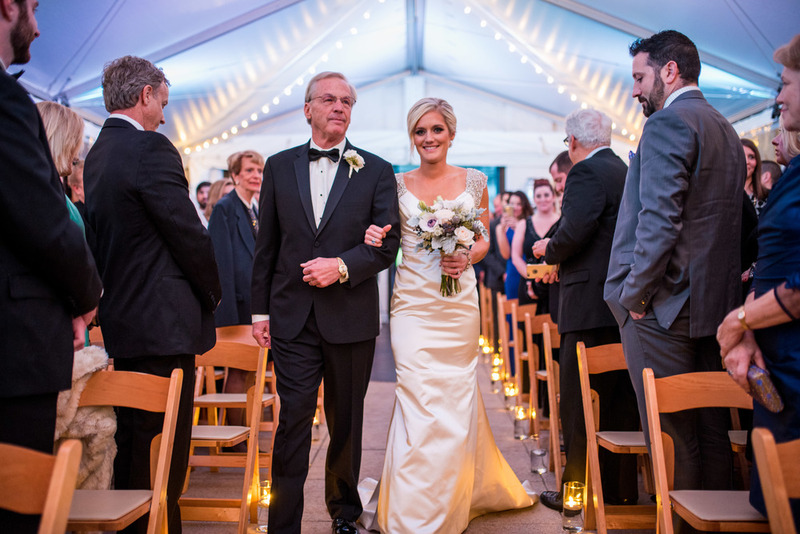 Liz and Chris's wedding inspiration was the sparkle, fire, and light of New Years Eve. Nashville's firework display was booming over the heads of our couple and guests at the clock struck midnight. What a perfect way to celebrate! Julie and Matt used Matt's army dress blues as the inspiration for their November wedding at The Bridge Building in downtown Nashville. 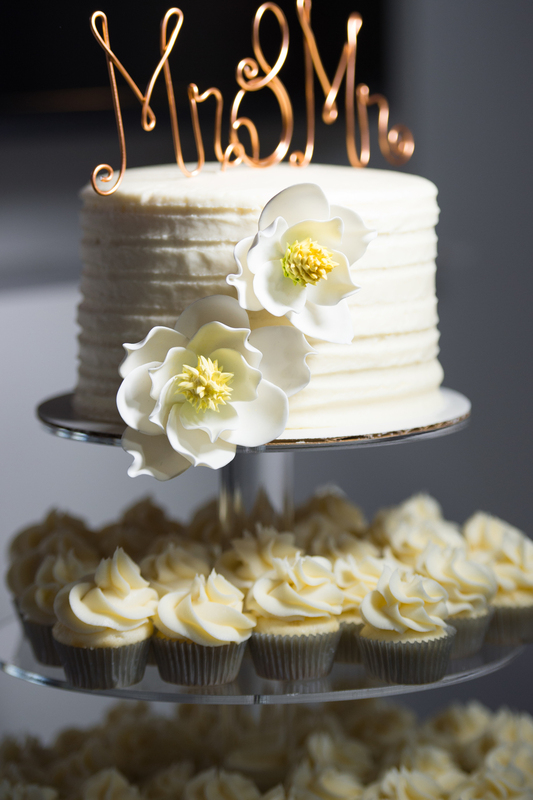 The deep blue and yellow gold brought to life a romantic wedding full of tradition and love. Amanda and John were a match made in heaven. The Navy, Green, White and Blush color platte accentuated the historic venue and the start of fall. Lighting was important to both John and Amanda. 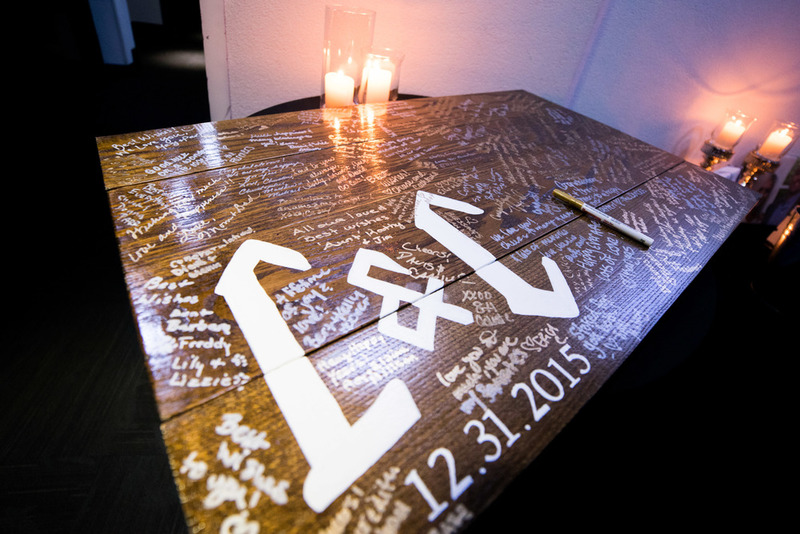 The Edison bulb backdrop for the ceremony highlighted the bride and groom for their "I Dos" as well as showcased the bride and groom's sweetheart table for their reception. 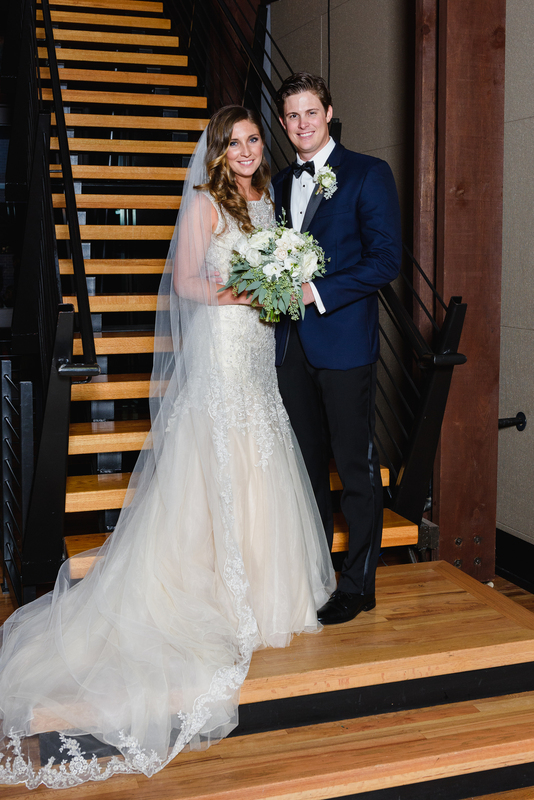 Bryant and Daniel hosted their intimate romantic wedding at The Bridge Building rooftop over looking the city lights of downtown Nashville. The Groom's truly brought this historic industrial building to life with their unique color pallet of Navy, Charcoal, and lots of Copper. The hatch show print Thank You to all their guests along with the signature Moscow Mule cocktail, served in a copper mug, brought the city to life as their guests danced the night away. 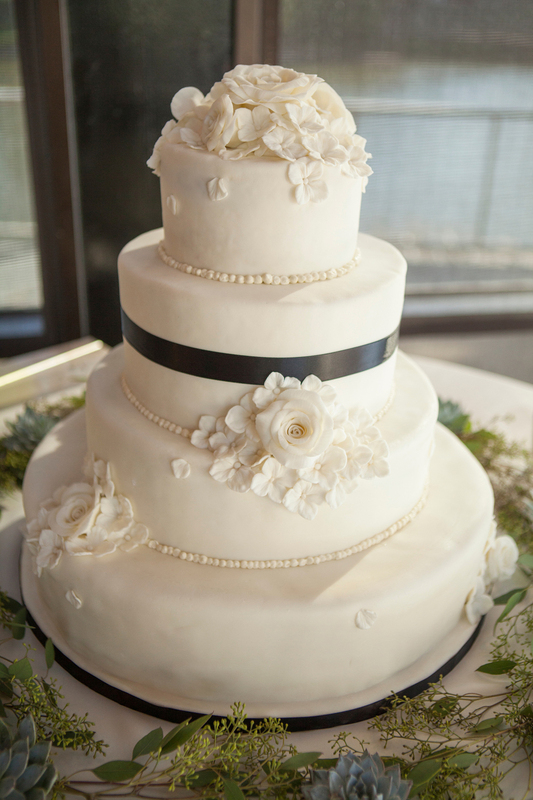 Kelli and James wanted anything, but a typical traditional wedding. They used their love of space to create an out of this world experience. This NASA couple lives in LA and wanted to provide their guests with a destination wedding that would be extremely different then anything they had attended. 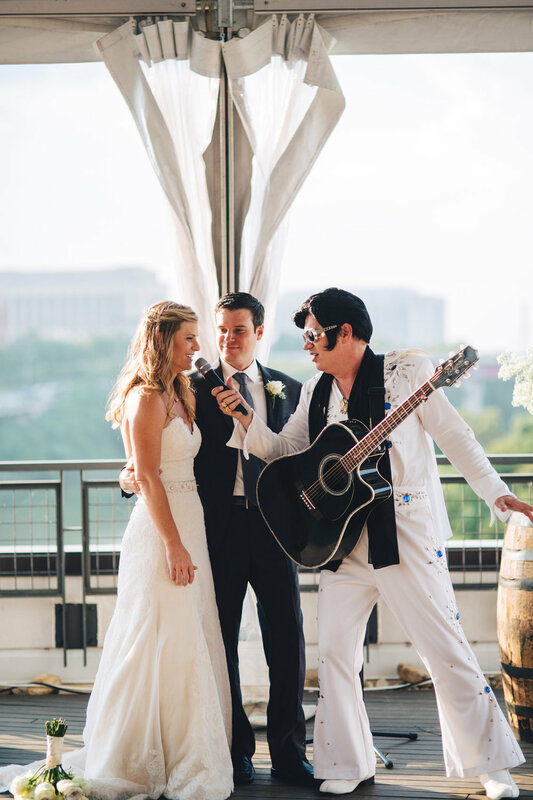 Kelli and James created a short ceremony that was interrupted by an Elvis Impersonator who celebrated their wedding with a "hunk of burning love". 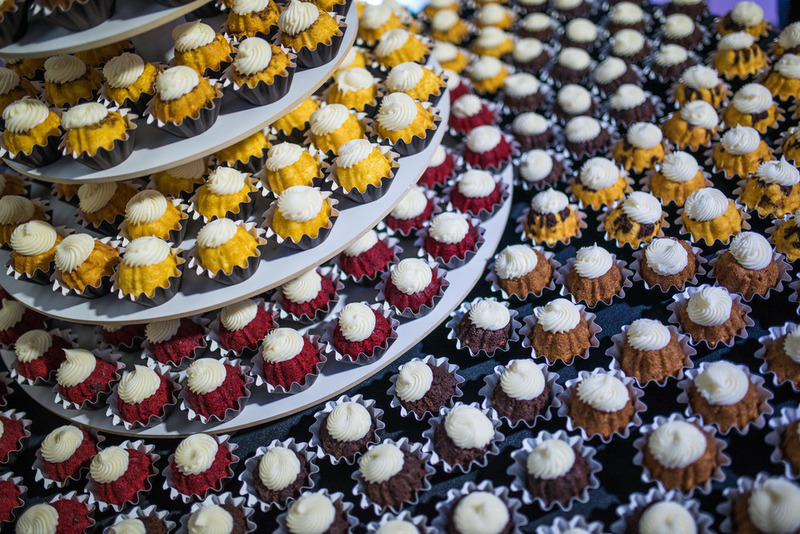 They provided video games, a photo booth and a Simpsons wedding cake for their guests to enjoy. The rooftop tent was transformed into a sky filled with stars and constellations as guests enjoyed the Nashville city view. Jordan and Brad are both Flordia natives, but moved to Nashville for their love of the fried chicken, whiskey, and music. The couple incorporated their love for the city into their wedding with farm tables and a family style southern dinner for their guests. 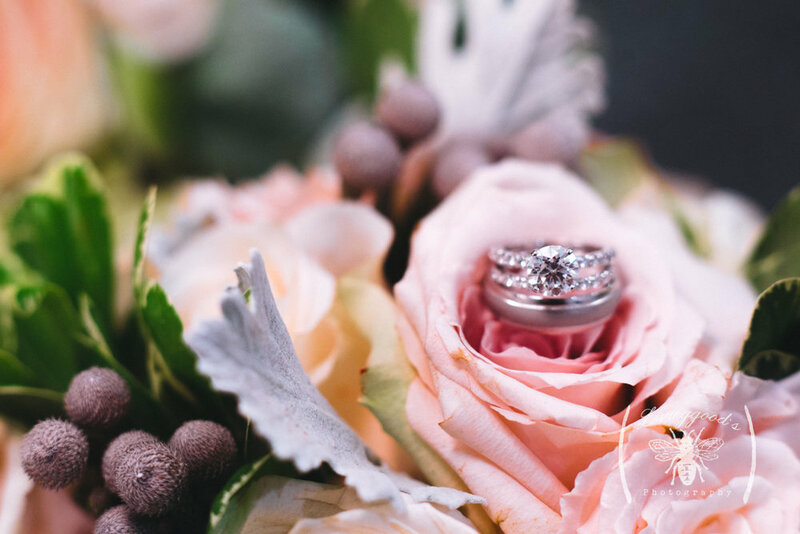 We combined the brides love of sparkle to match her dress to create a country glamour wedding. 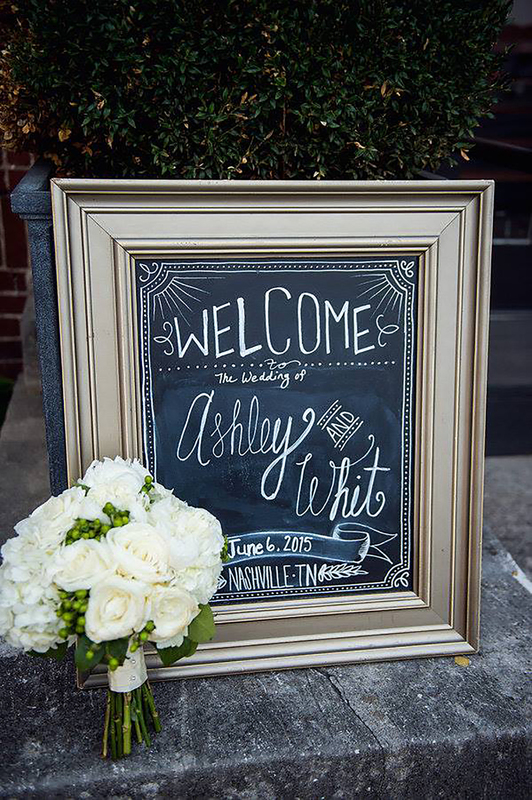 Guests entered The Bell Tower for Ashley and Whit’s black tie summer wedding reception for an elegant night. This wedding truly shows how lighting can transform a wedding venue. 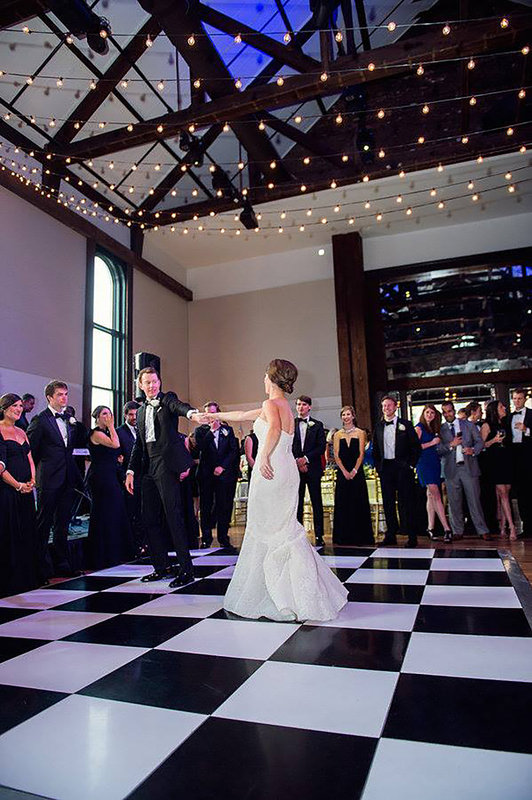 The indoor historic wedding venue turned into a “night under the stars”. The ceiling was transformed to a midnight blue sky with string lights draped over the band, dance floor, and head table. 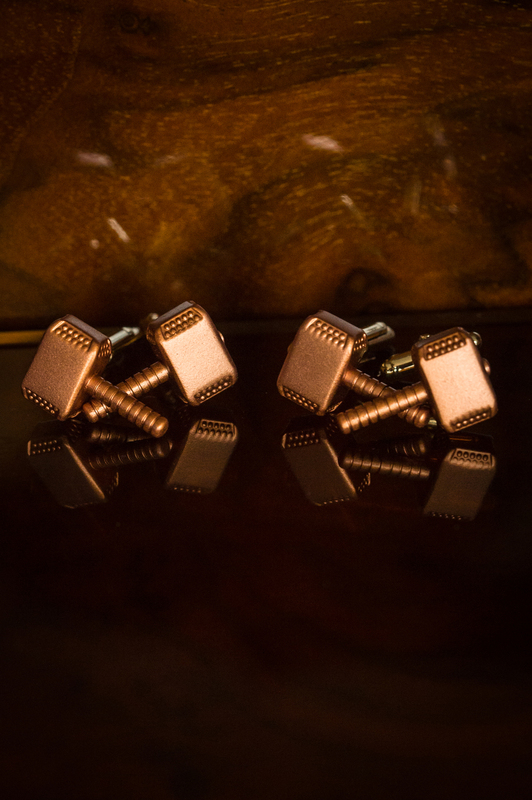 Brides ask me all the time for advice on where to spend their wedding budget and what items are important. I always suggest lighting as this element can transform any space into your dream desire. 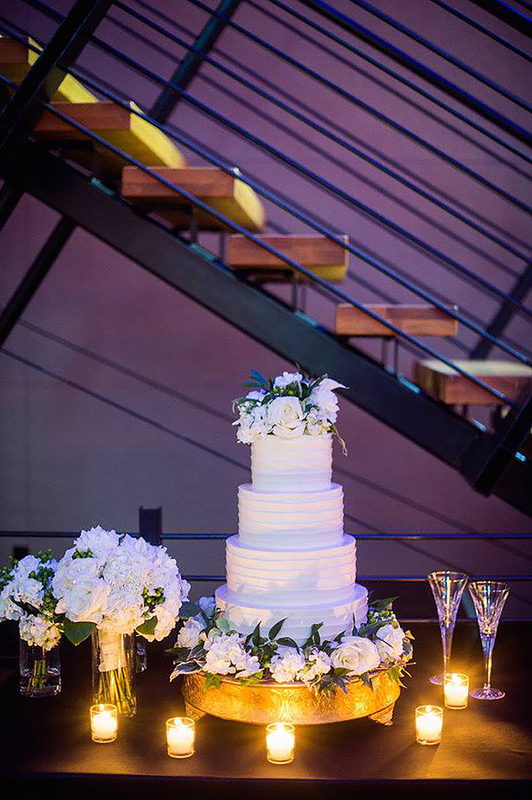 Cool down your hot summer wedding with a cool tone color palette like Jillian and Matthew did for their August 1st wedding at The Bridge Building. They played up the blue tones in the natural succulent floral design and filled the wedding with candles to create an intimate summer night. The Bell Tower was the perfect backdrop for Chelsea and Andrews gothic garden wedding. 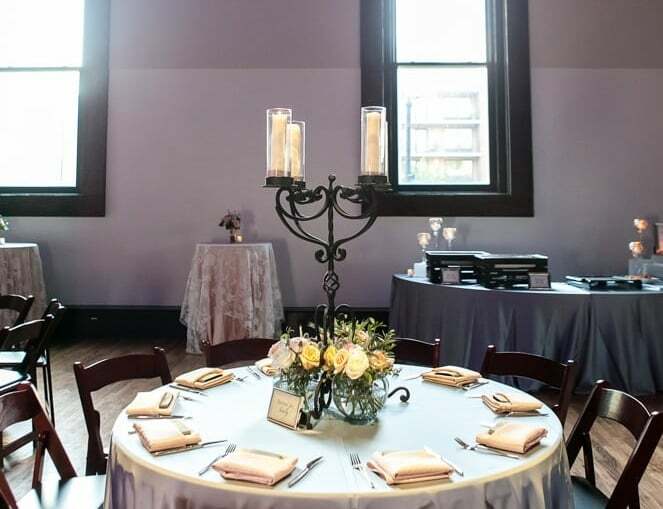 The venue was brought to life with the pale color palette and large gothic candelabras filled with flowers.